Discussion in 'Question of the Day' started by dvsDave, Mar 16, 2019. How many lamps would you suggest to light one person standing stationary in one area? 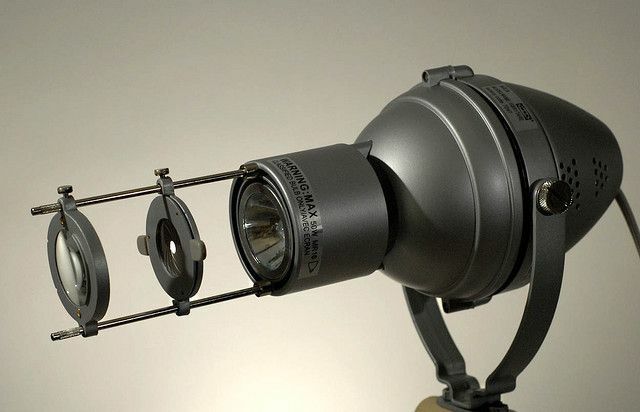 Assume you have a boundless inventory of hanging positions and fixtures of various focal lengths and beam spreads with both incandescent and LED sources. Your inventory DOES NOT include any movers or arc sources. Expound upon the considerations and reasons for your choices. BEGINNERS and AMATEURS ONLY for ONE WEEK. For bonus points: What if the lone person is a dancer rather than an actor?? Many thanks to @RonHebbard for this question. He will also be judging this question. Ancient Engineer, Dionysus, Amiers and 1 other person like this. I feel like the real answer is "it depends on the look you're going for"
Seriously though, assuming we're talking about the general zones for the stage, I'd go two lamps for each zone, preferably from opposing angles to make sure they (emphasis on their face) is lit while minimizing shadows. Two also means there is at least *A* light when one inevitably fails five minutes before show. For most scenarios, I also might want a second pair of lights in the same zone in a cold gel. I suppose that makes my tally four. Two warm, two cold, each set getting shots from as far apart an angle as reasonable. That being said, if the emphasis of the scene / number is on one person, perhaps a follow-spot or two following the target? McCandless, as Ed suggests, possibly doubled, and a toplight. So, 3 or 5. I generally try to get 2 fixtures at opposing angles, LED lights help as far as color goes so I dont usually worry about gels (my inventory is quite literally 75% LED). I sometimes get a 3rd fixture straight on to help control color when using the two opposing fixtures to light each side of the actor with different colors, it also helps with intensity because my fixtures aren't as bright as I would like them. How much thermal energy can be concentrated on that location so the performer might perform a perfect Joan of Arc impersonation? ALL of it! Otherwise are we going for art or illumination? anywhere from one to 5. This is so dependent on the look you want. but generally ideally I would like 2 45deg from the front and same back light with a top light just for fun. But there are many combos so no incorrect answers here. My preference is to use lights from 4 directions. (1) n/c straight on from the front. (1) backlight in what I've always thought as a neutral color(I know such a thing doesn't exist), i.e. darker green, violet, deep red. If they're a dancer, I get to use lots of color and forget the n/c light from the front. Have never worked with unlimited power, control, inventory, and positions. It’s not easy to look past current limitations with clear preferences for answering the questions. 75% Of effort is to get a good Left and Right front of house coverage for clarity/contrast/depth. NC Pink and NC Blue, but have recently tried Less’s R54 Lavender for the NCB, and think it works better/more flattering at the HS. Also run L/R blue for evening/night (and a school color as an event warmer). Having the inventory and control for L/R color would be fun to work with. Backlight has been limited by power to a straight on bright amber (occasionally no-gel looks). Almost always flattering, yet more subtle or cartoonish as needed. Again, having inventory for L/R color would be fun. So that adds up to a basic five . Straight on FOH LED color is a recent addition for events and we are just starting the learning curve. Those may be worth more if moved around to the back, but numbers and beam spread are limiting. Have never worked out top lighting but keep trying. Have never done dance, but for a recent talent show we pulled down LEDs for side lighting and that will take a ton more work to understand. Have avoided spotlights until the schools do a better job with the basics. Les and RonHebbard like this. RickR, eadler, RonHebbard and 1 other person like this. 45 feet away in complete darkness, I use a 50 watt Ikea Isbrytare...no longer available, but came with glass gels, gobos, and even an aperture adjustment. Does the job for me, although when the bulb blows I'll see if there's an LED equivalent...but it's bright enough from our projection booth to the lectern. Anybody want to address the ballet portion of the question? My answer for a single person is the more lights the better. So a 3 color wash cool warm nc in cove position. Then on catwalk 2 with 2 sets of an X cross of 10 degrees. Catwalk 3 one front spot. Then to fill out the stage to make it less bland some stage downs in blue or purple. For the ballet dancer everything else I just said but no Xcross and straight on position and add in a follow spot. Boundless you said? I'll still find a way to blow the budget. A s4 spot on the balcony rail, nc, tight shutter to the performer's head and upper body. The usual 45/45 angle spot frontlight, but I like a yellow and blue for the additive mix. High side, spot with a fuzzed out breakup gobo, offset and maybe one spilling onto the cyc to give a sense of space, i think in a blue too. Backy, sidey, toplight wash in almost uv purple. For the dancer, add trees with low mid and high sides, and everything better be a colorchanger. Considering this will be a more hazy affair, add multiple angles of gobo'd spots for aerial effects. After hanging all of this, realize the moment is best suited to just the spot on the rail, or maybe a worklight dragged out and pointed up from their feet. So, from 5-17 or just 1. RonHebbard, dvsDave and lwinters630 like this. Sorry about the delay, I really meant to post this on Saturday, but I have been down with the plague or somesuch. So, I will advance my notion with an exercise that will have your colleagues questioning your continued mental health... yay. Put your right arm straight out in front of you and point, now move it to the right until it is at approximately 45deg. out from an imaginary plane generated by your spine and sternum. Now move your arm up to 45deg. from the plane of the stage. Where your hand is pointing is where I'd put the Key light. In our *perfect* universe there is a *perfectly* placed pipe 40 feet distant to hang our 1K 8" fresnel Key, fully flooded, with a L229 in the slot to take a *little* harshness off of the nasal break line. Where your left arm is pointing is where I'd put the Fill light. On the same pipe used by the Key we'd hang a 750W 6" or 8" fresnel Fill, fully flooded, with a L229 (or two, probably two...definately two) in the slot to make the shoulder line less uh... less. Lower your arms and get the blood flowing again with a good 180deg. about-face (your back is now to the audience). Raise your pointing right arm to 60deg. up from the plane of the stage and out about 20 deg from the bisecting plane of your body. Where your hand is pointing is where I'd hang the Hair light. In our *perfect* universe there is a *perfectly* placed pipe 30 feet distant to hang our 350W 3" or 5" fresnel, fully flooded. The two front lights have enough luminous difference to generate good depth-establishing shadows, but not so severe that they appear un-natural. Interestingly, even when the subject turns their head, the effect is not objectionable to the observer. The key has enough overall intensity to provide good "eye-sparkle" to the majority of the observers and overpowers the fill enough to make the brain feel that the light source is coming from the house left. The L229s soften this whole thing slightly if it is to be an outdoor scene, omit them except for one in the fill. The intensity of the hair light will vary depending on the color of the talent's hair. It provides good talent separation from the background stuff and makes the whole set feel less like a painting and more lively. Also by not having it be directly behind the talent the small shadows it will make will be not in a nearly parallel line with most costuming etc. Once you have the balance correct the talent will "pop" and if you track the ratios, it will dim to about 20% and still be effective. The real magic is the use of Fresnels... Cut carefully with barn doors and/or blackwrap you can make a reasonably large area where this "special" lighting works well... like a rectangle 20'W x 8'D on the stage floor. Then we'd populate pipes up and downstage with the same pattern as necessary until the depth of the stage was covered and cut carefully with the barn doors and then the talent could flit about with depth and character and not look like a flat watercolor. We'd probably dispense with the hair lights as the talent will probably be moving in the Z axis relative to the audience and the resulting parallax would remove the need to prove Z dimension to the observer. eadler and dvsDave like this. If you have enough sunlight and architectural glass you can create a death ray from a single light source. Jay Ashworth, Lynnchesque and dvsDave like this. Is this person actually stationary or am I simply told that this will be true? I'm going to assume the latter and build a wash for the entire stage (since I can't use movers). So, depending on stage size and how far light positions are, anywhere from 12 to about 300. Ravenbar, Jay Ashworth and Lynnchesque like this. And yet, somehow, they will still find the one dark spot. Ravenbar, JohnA and RonHebbard like this. They don't call them "The Talent" for nothing. Ravenbar, JohnA, RonHebbard and 1 other person like this. But they respond to "cattle calls", which gives bovines a bad name. Ravenbar, JohnD, GreyWyvern and 1 other person like this.